The City of Wildwood was incorporated in 1912 and is situated on a barrier island comprised of five separate municipalities consisting of Wildwood, North Wildwood, West Wildwood, Wildwood Crest and Diamond Beach which is governed by Lower Township. During the off season Wildwood has a population over 5,400 according to the 2000 census, but the number of people visiting increases that number to approximately 250,000 or more during peak vacation time. In the off season Wildwood is just like any small town in New Jersey. From the Spring until late Fall our town wakes up and excitement abounds. Vacationers traveling to Wildwood for a day, week, or for the summer start feeling the exhilaration as they start on the final leg of their journey. When they enter one of the two main roads entering the barrier islands, the smell of salt air welcomes them back with childhood memories of their youth. 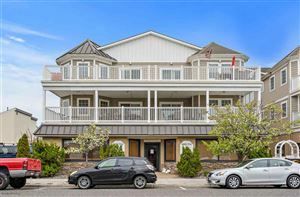 For residents and vacationers alike, no matter what time of day or night, aromas fill their senses with thoughts of salt water taffy, funnel cakes, popcorn, suntan lotion, fresh breezes and all kinds of delicious delicacies. Wildwood is a family resort with plenty of activities to keep our visitors of all ages entertained. We offer a wide variety of restaurants, amusement piers and water recreation of all sorts. Our museum can provide you with lots of information about our history and our fine public service departments work very hard to ensure that each visitor’s experience is a pleasant one, creating new memories that will be cherished for a lifetime.